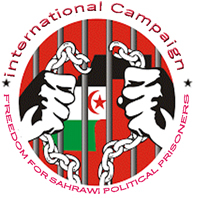 Bouzakarne (Morocco), August 28, 2016 (SPS) - Sahrawi political prisoner M’Barek Daoudi was transferred by the Moroccan occupation authorities from Ait Melloul prison to an individual cell in the Bouzakarne prison in the South of Morocco, said the Collective of Sahrawi Human Rights Defenders, CODESA on Sunday. The Sahrawi political prisoner was jailed in the Ait Melloul prison before being transferred to the Salé 1 prison in Rabat, in which he spent a heavy five-year prison term, according to the same source. “Since his arrest, he has been suffering from harassment and intimidation from Moroccan authorities, while his family members cannot visit him,” denounced the CODESA.